My long awaited project ‘The People’s Story' is an effort to reach out to those individuals whose voices are not being heard in educational arenas everywhere. I will be interviewing, filming and collecting stories from parents, teachers, students and community members in the rural and urban areas of the Eastern United States to included Maine, Connecticut, Massachusetts, New York, New Jersey, Maryland and Washington D.C. Many lives are being impacted and harmed by the ongoing corporate war on public education that exists today. The consequence of the rapid privatization of our schools is inhumane and devastating our teachers, schools and most importantly, our children. My mission is to create a documentary/television series for PBS and the Arts & Entertainment Channel that will expose the human cost of man’s inhumanity to man. The objective is to document people’s stories from each state and create a one hour TV Episode for that state evolving into a 30-35 part series. The expectation is to have the first TV show ready by next summer. This will propel the ‘corporate war on public education’ front and center as a local, state and national campaign issue. 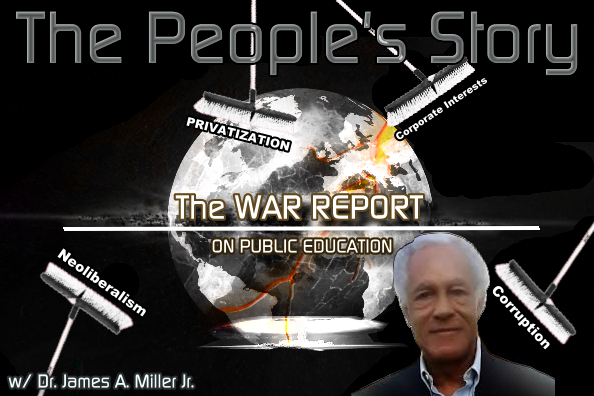 I am determined to awaken the world on a national level by providing a series of programs which will lead to understanding the whole picture – and finally, to demand an end to the Corporate Elite and their destruction of public education. 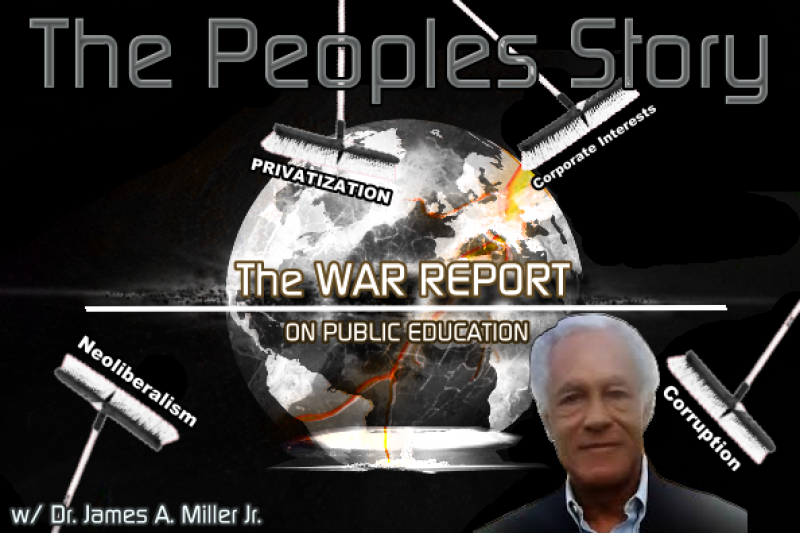 My radio show THE WAR REPORT ON PUBLIC EDUCATION http://bbsradio.com/thewarreport every Sunday at 2pm PST/5pm Eastern is about the 'corporate' war on public education and the rising public resistance movement to this war. I am a public education advocate, activist, professor and independent scholar exploring one of the most important events in our life time - the total takeover of our education system by corporate interests. I am seeking funding for ‘The People’s Story’ project from friends, family and the public to cover the expenses that this will entail. If you care about the future of education, please support this most important project and be part of history in the making. This has been and will continue to be my life's legacy. I'm in Long Island and doing the radio show LIVE from there - tune in at http://bbsradio.com/thewarreport. As always, a huge THANK YOU to all who have supported this project ! Thank you again for all your support - always appreciated! I'm excited that I have been able to gather much footage for this documentary. My next stop will be New York. Looking forward to talking to you all out there! Thank you to all who have supported this project - I still have a way to go! So, please tell your friends and family about the importance of The People's Story! It needs to be heard! 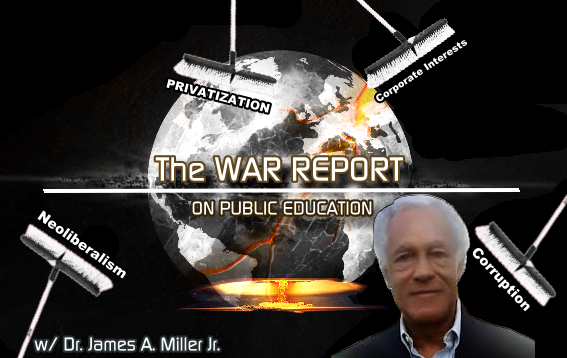 And listen to THE WAR REPORT ON PUBLIC EDUCATION today at 2pm Pacific! I want to thank all the new people you supported 'The People's Story' - every little bit helps! I hope you are staying tuned in by listening to our weekly radio show that gives updates on where I have been and what I've been doing. http://bbsradio.com/thewarreport at 2pm PST / 5pm EST Sundays, station 1. LISTEN UP! Thank you for your tremendous work--we need you, Dr. Miller! Thanks for keeping up the fight. Please help fund this project and help get our side of the story out there.